The destinations that Turkey has to offer are many. Whether you decide on a private gulet charter or a blue cruise cabin charter, you will still be able to enjoy the beauty of these places that line the shores of the Mediterranean and Aegean seas. 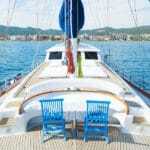 For some travelers hiring a private gulet may not always be possible. This can depend on a few reasons. It isn’t easy to gather a group of family or friends to holiday on the same dates as yourself, therefore with only a few people, cabin charters can be more affordable than chartering a private boat. On the other hand, cabin charters are shared with other passengers. You won’t have any control on the behavior of other passengers on a 30 meter boat, or their children. That is not to say that guests will be bothersome. You will be spending most of your time outdoors, on deck, in the water and some time on land to explore your destination. There are many who just want a comfortable place to sleep, so cabin charters suit them fine. 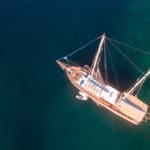 As for chartering a private boat, should you be successful in having a complete group organized to share your holiday time with you, then private gulet charters can work to be the same price, a bit more or less, depending on the size of the gulet (how many cabins), the time of years, and the class of gulet. With private yacht charters, the more in your group to help divide the cost per person, the better the price will work out to be. An added bonus is that you are on board with guests you know. For destination choices, private boat rentals in Turkey are an advantage. You have the choice in itineraries, and can be adjusted to change during your Turkish gulet cruise. 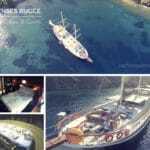 Whereas in gulet cabin charters, the itineraries are set and there is no flexibility. If you are going on a Marmaris to Fethiye return cruise, you do not have the option of changing this itinerary along the way. Food and beverages is also an advantage with luxury gulet cruises. You can either choose from the existing blue cruise menus, or create a list of your own to have brought on board. Drinks and alcohol are usually not a part of the menu prices in private cruises – however you can bring your own on board if you choose. In cabin charters, you are not allowed to bring your own soft drinks and alcohol. If you wish to have something to drink, you are obligated to purchase drinks from the bar on board the gulet. The main advantage with gulet cabins charters is not being obligate to hire a whole boat. 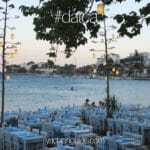 If you are two people, you can affordably enjoy all the offered destination choices in Turkey and the Greek Islands.